Whilst living in London, I got to acquire a very soft spot for Mushy Peas. 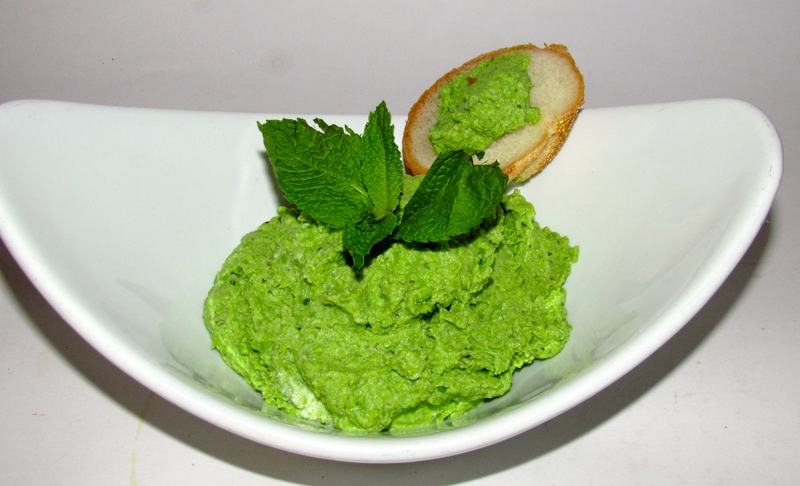 Are you wondering what “Mushy Peas” are? They are exactly that, mushed up peas! A bit of cream, salt and pepper and voila! Well kind of but you get the gist. 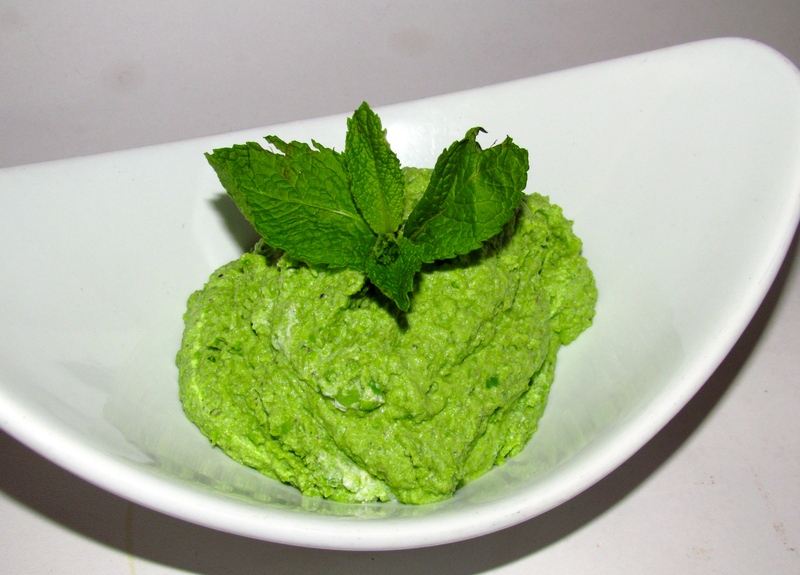 The British are not known for being big on seasoning so, here is my version of “Mushy Peas” which I am making to go with the Braised Lamb shanks I will be preparing for tonights dinner. Boil the peas and drain them. Then place in blender with the cheese, garlic and mint and blend away. Add salt and pepper to taste and say goodbye to boring peas! I also found that using a any sort of herb cheese gives it a wonderful twist! If you decide to try them that way, do not add garlic, salt or pepper as it won’t be necessary. Of course I had to taste it before dinner time, so stole a bit to have on a lovely crostini, which reminds me, this mixture makes for a great crostini topping too! Prev Cucumber Salad – Healthy, tasty and done in a flash! Next Braised Lamb……Mashed Rutabaga……It’s Family Time! 😃👍 let me know how it turns out!